A noisy sound board book commissioned by Usborne Publishing. Roll up, roll up for the best show in town! 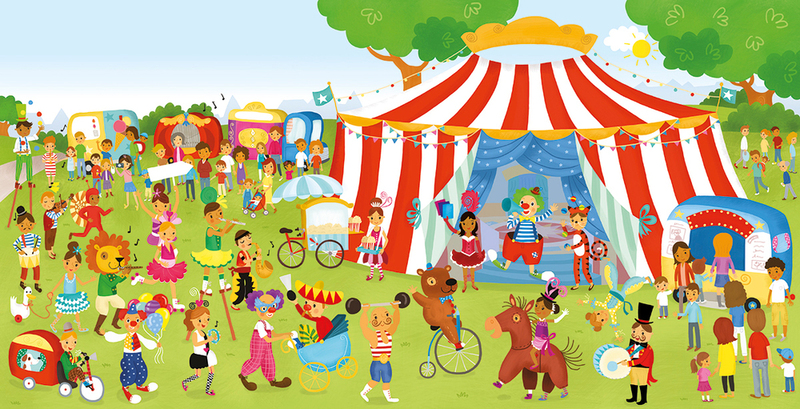 Join the ringmaster as he introduces acrobats, musicians and clowns in this bright, busy picture book with musical sounds, specially composed by Anthony Marks.